Black Lives Matter protesters shut down city streets, prompt lockdown at Justice Center on Saturday. Chanting "Black Lives Matter!" 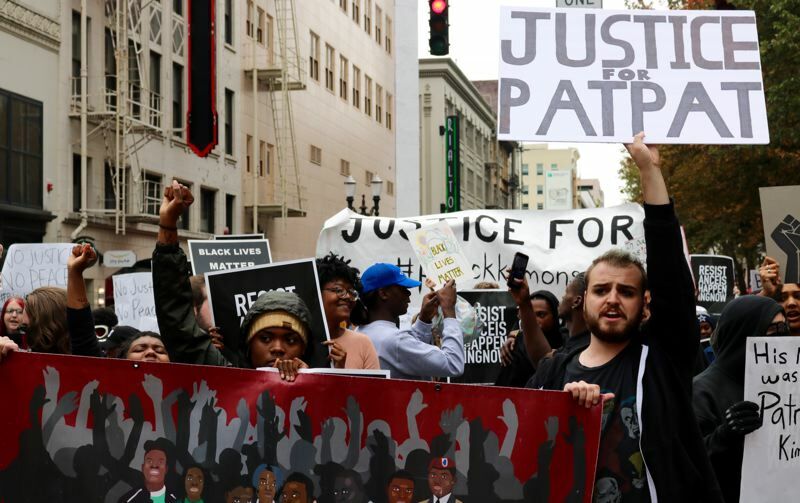 and marching against traffic, Portland protesters shut down city streets and briefly forced the central Justice Center into lockdown during a weekend demonstration for a man shot to death by local law enforcement. Patrick Tyrone Kimmons died a few hours after midnight on Sunday, Sept. 30 after police say they responded to a gunfight that wounded two other people near Southwest 4th Avenue and Harvey Milk Street. 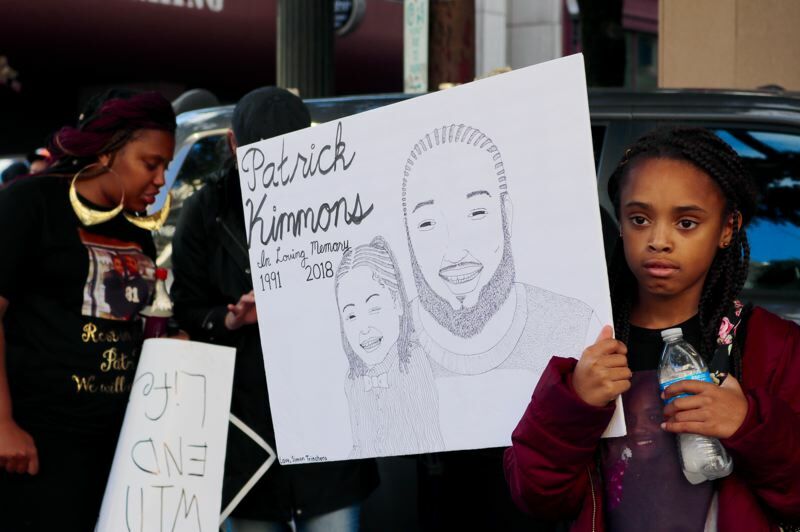 And while questions remain about Patrick Kimmon's past and his involvement in the shooting, his mother Letha Winston charged the Portland Police Bureau with being "gang members themselves." "You Crips, you Bloods, you Hoovers," she said, "stop gangbanging. Turn it around! Because the police are out here killing all of us." "I know they going to shoot to kill. Why? 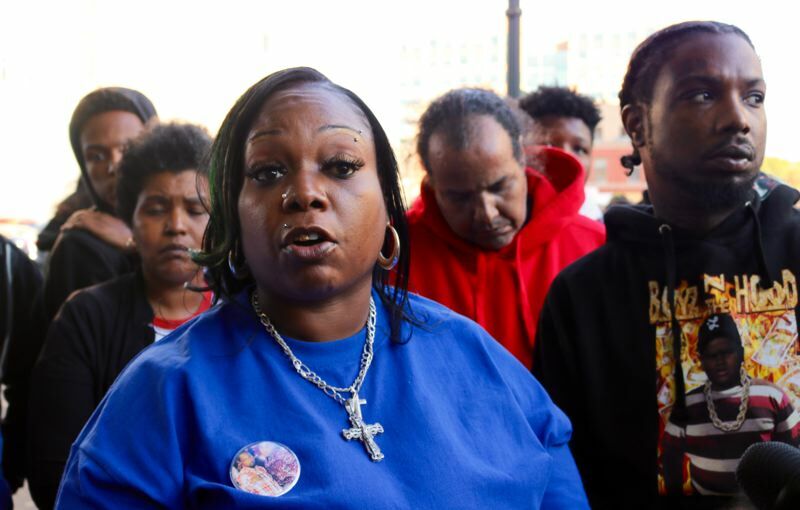 Because I'm a black, African-American beautiful queen," Winston said on Saturday, Oct. 6, standing a few yards from the parking lot where her 27-year-old son was killed. Protesters faced down motorists — some clearly honking in solidarity, others out of annoyance — as they marched south down Fourth Avenue. One driver who refused to wait plowed into several marchers, sending one person up onto the hood of the sedan as the crowd shouted. The older man behind the wheel turned onto Salmon Street and then stepped out of his car for a moment. 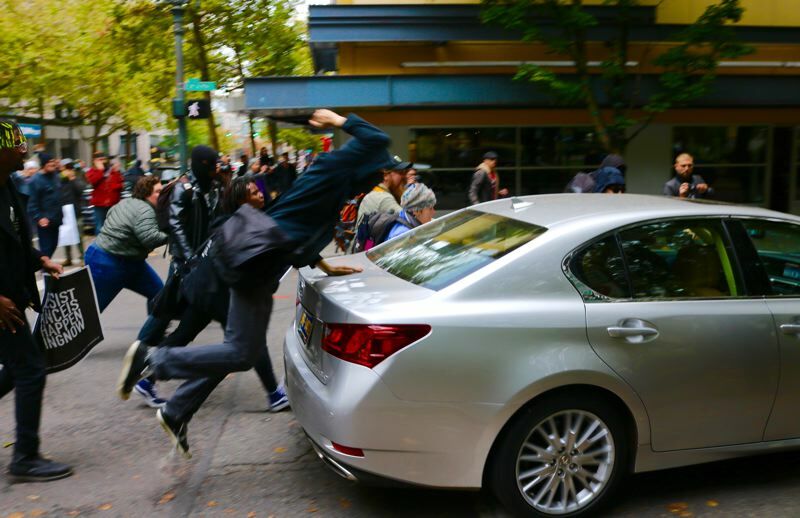 Other protesters began to hit and kick the car during the confrontation, prompting the man to speed off. Portland Police said later that they had not been contacted by either party. The crowd proceeded to the Justice Center, 1120 S.W. 3rd Ave., sending the facility into lockdown as members of the crowd sang along to the well-known anti-police rap song by the group NWA. Standing on the building's steps, uncle Charles Kimmons called on the cluster of several hundred to examine root causes and use their energy to make positive changes in society. "We ain't here to riot. We're here for justice," he said. "These cops need to be locked up." "Kids are going to be kids, but he turned his life around," added another uncle, Clarence Kimmons, in an interview. "It could have been anybody, and now we've got to bury him." Clarence Kimmons, 67, recalled his nephew as a soft spoken man who didn't cuss. 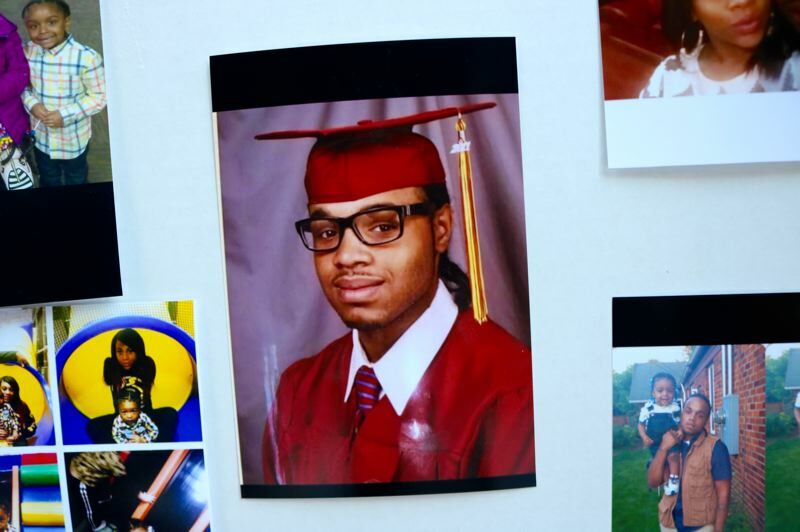 As a child, Patrick Kimmons loved playing with toy cars around Christmastime. His funeral, said Clarence, is slated for Oct. 15. Mercedees Morgan can't believe her eight-year-old daughter, Heaven Kimmons, will grow up without a dad. She remembered Patrick Kimmons as a goofy guy who spouted corny sayings like "We're going to make it official like a referee with a whistle." They met at the Boys & Girls Club in Portland on Martin Luther King Jr. Boulevard. "He can't go to a father-and-daughter dance with her," Morgan said. "No money, nothing else can replace a father being there for his kids." Police Chief Danielle Outlaw has declined to release more details about the hazy events that lead up to the shooting, but expresed sympathy for the Kimmons family and noted that she, too, has experienced racism. But a leaky source within the District Attorney's Office or the Bureau has begun muttering to the media, claiming that officers fired 10 to 12 times after Kimmons turned their way while holding a gun. But Kimmons' best friend, Theo Huss, doesn't buy the rumors spread by an anonymous source. "I know my bro was trying to run away from the racist Portland Police department, trying to save his own life," Huss said. "He was trying to live for his kids, man. It was an injustice. He deserves a lot more."